I am the best there is at what I do. And what I do is put my phone down somewhere just around here honest and not be able to find it again. My spellchecker just softly and silently corrected "tumblr" to "tumor". And I thought, WHAT DOES IT KNOW THAT I DO NOT? My dog just said "woof". He didn't bark. He said "Woof". Like someone who doesn't know what dogs sound like. Then he looked embarrassed. I think there should be an Occupy Gallifrey. "Because 0.000001% of the people have 99.99999% of the Time." HAPPY 6015th BIRTHDAY, EARTH! Also, you're a Libra. He did WHAT? RT @impossible_who: OMG I had no idea that @neilhimself wrote coraline! The Dark Knight Rises was remarkable. Oscar nomworthy. I was impressed. Also things went boom and there was hitting. 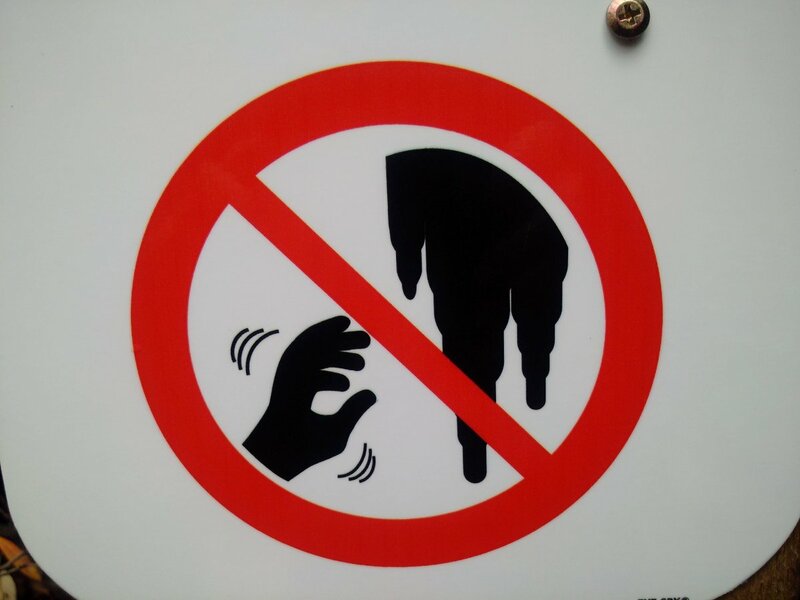 Do Not Tickle The Ooze sign. It's Friday the 13th! Time to head into the woods and stay in dark cabins and lose our virginity then die by the blade or the chainsaw. Only because we ate the ones who displeased us. RT @rbp77: because inside every writer, there is a sub-editor. #itsmorefuninthephilippines hashtag is a true one. They applaud loudly and hug you a lot. To anyone who thinks "that Neil Gaiman, he is a smart person who has his life together", I seem to have left my MacAir charger on a plane. I have been to WalMart at midnight, &amp; returned with a rawhide bone. I have been to Walmart at midnight, &amp; you should not go there alone. I have been to WalMart at midnight, & returned with a rawhide bone. I have been to Walmart at midnight, & you should not go there alone. Good night universe. Tomorrow I shall do my best to love everybody in you, unless they are trying to kill me with guns, bombs or tentacles. If you're especially brilliant and not at all clumsy you can spray handsoap over your jacket moments before appearing on Swedish television.